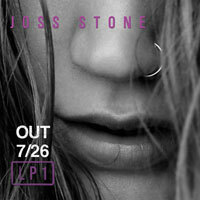 Stone'd Records & Surfdog Records are proud to announce their partnership to release Joss Stone's next album, LP1 on July 26, 2011. Melissa Etheridge and Joss Stone may seem like an unlikely pairing, but when you throw Janis Joplin into the equation, it makes perfect sense. Both songstresses possess their own unpolished soulfulness and rock stylings, which proved to be a powerful match in a tribute to Joplin at the 2005 Grammys. The singer, who's taking a year out of music, is campaigning against the slaughter of Canadian black bears to make the tall fur caps worn by Queen's Guard soldiers. She tells me: "I have teamed up with Peta for a new Bear Hugs, Not Bear Caps campaign to put a stop to the slaughter." Soul singer Joss Stone has hit the road with her pet dogs to embark on an impromptu trip across Europe. The star recently packed up her Rottweiler Missy and poodle Dusty and drove to Spain, and admits she's enjoyed herself so much, she plans to extend her adventure. Multiplatinum-selling soul singer/songwriter Joss Stone proudly announced today the formation of Stone'd Records, a new music company based in Bristol, United Kingdom. Stone'd Records inaugural roster will include Joss Stone as well as ska/rock band Yes Sir Boss. Stone also announced longtime music executive Brian Nelson has been appointed General Manager of Stone’d Records. 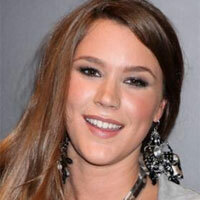 Joss Stone appeared on numerous "top 10" lists in 2010. Here are some that we've collected.